Now in its 7th Year, the Arts by the Sea Festival continues to grow and develop. This is clearly demonstrated by the introduction of the Arts by the Sea Fringe event, taking place in October, which will dovetail with the core Arts by the Sea programme. It will encompass a range of locations across the town including the Bandstand , theatres, cafés , gig spaces and music venues. The 2017 Festival theme is ‘Plastic Beach’, which invites artists and creative partners to explore the tension between ecology and industry. The Fringe includes events which have interpreted this in ways that range from the direct to the subtle. Arts by the Sea is committed to delivering as green an event as possible and awareness of marine pollution and other environmental problems are raised through many of this year’s performances, exhibitions and installations. Fringe highlights include two film focused events, The Short Sounds Festival, brought to you by Bournemouth based White Lantern Film, a dedicated celebration of cinematic sound and music and Wimborne’s Ocean Film Festival taking place at the beautiful Tivoli Theatre. Elsewhere, SoFar Sounds will be offering secret acoustic gigs across town, One World by the Sea explores the influence of international culture and diversity on local cinema, music, dance and food, and a multi-faceted party at long standing Bournemouth venue 60 Million Postcards will be dedicated to the seminal 2010 Gorillaz album Plastic Beach. Improviso are a period music ensemble performing 'Elizabethan rock n’ roll', artist Rosemary Edwards curates A Drop in The Sea which draws attention to the fact that plastic outlives humans, while Animystic Productions bring us Hessi the Elephant who will be roaming around central Bournemouth with her keeper Dr Sticke, reciting the wonders and magic of the elephant world. There will be further act announcements over the next few weeks. 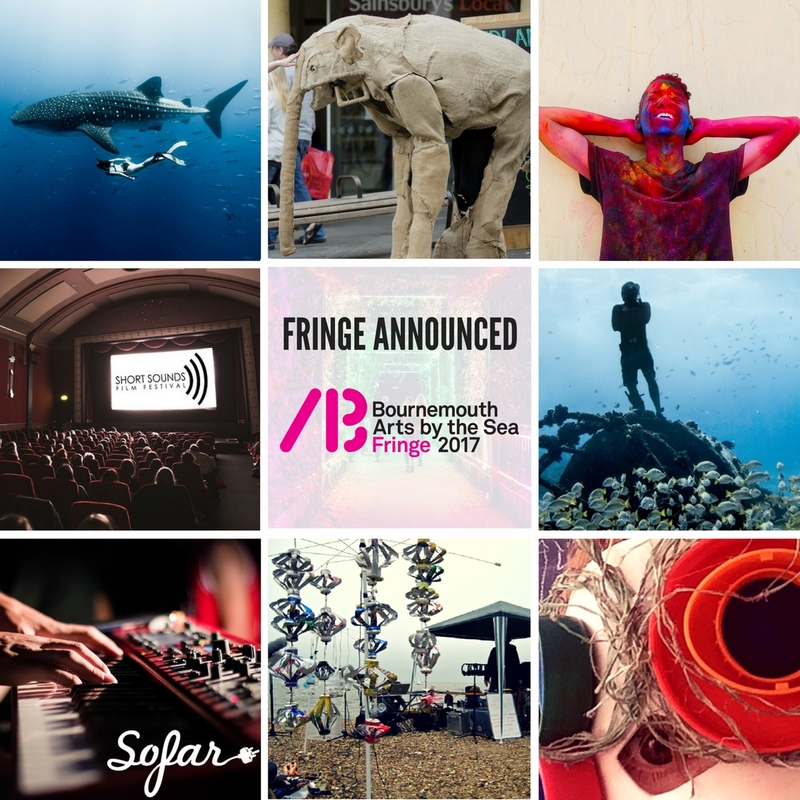 'We are delighted to have introduced a platform for independent artists, producers and promoters to showcase their work via the official Arts by the Sea Fringe Festival. 'The Fringe has allowed Arts by the Sea to expand its programme of events, develop new audiences and forge new partnerships with creatives across Bournemouth and Poole.